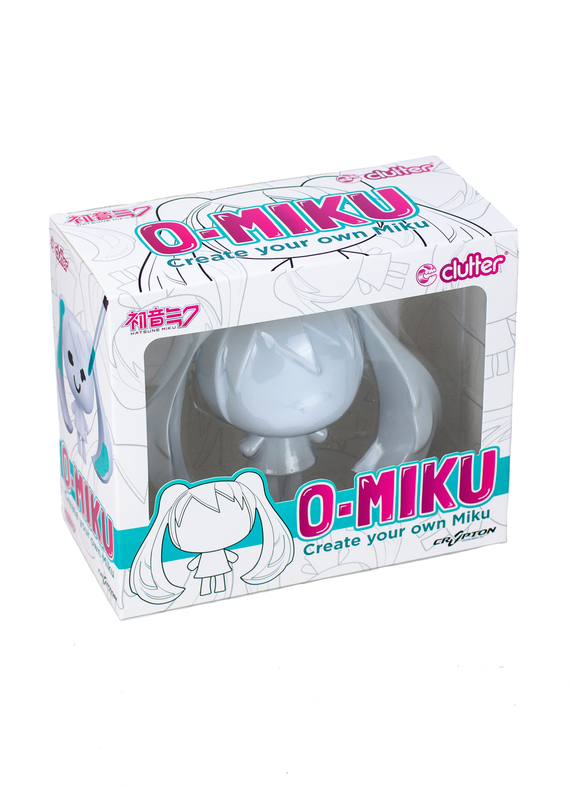 Home » All products » O-Miku Paint Party Saturday April 27th Ticket. 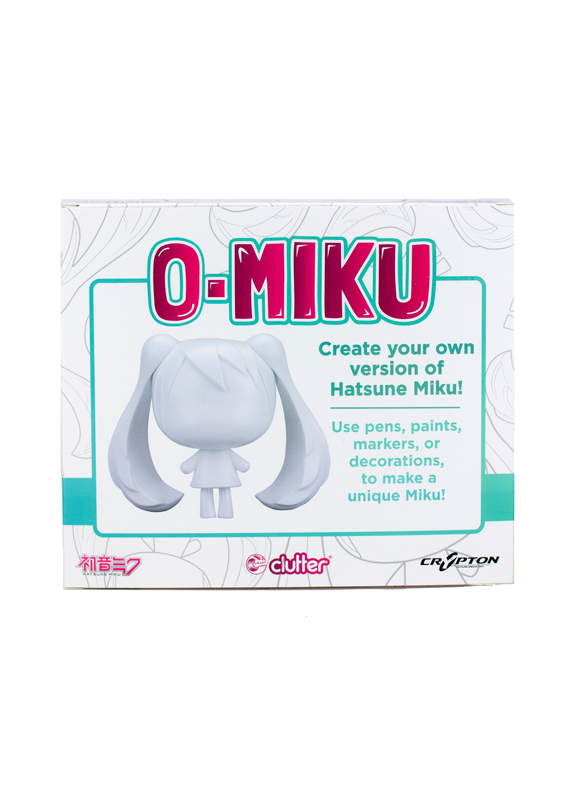 O-Miku Paint Party Saturday April 27th Ticket. 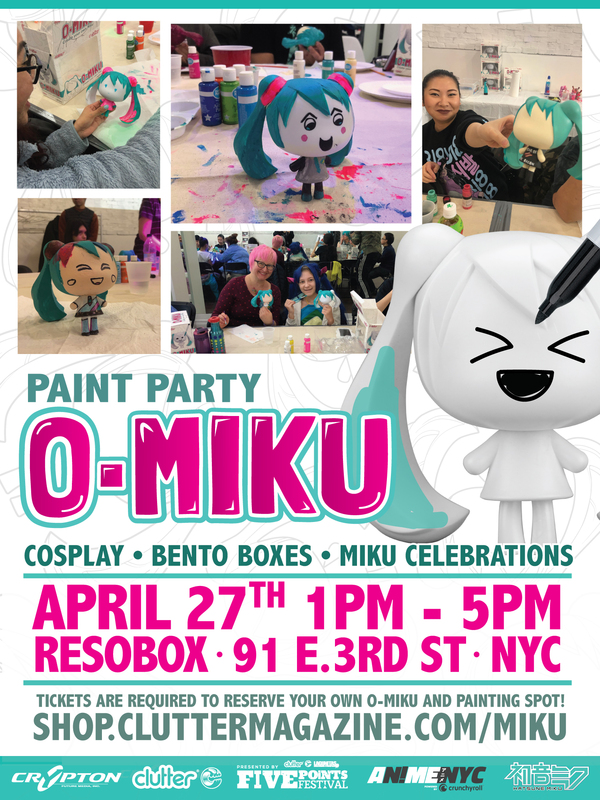 Join Anime NYC, Crypton, and Clutter at the next paint-your-own O-MIKU Party on April 27th!! 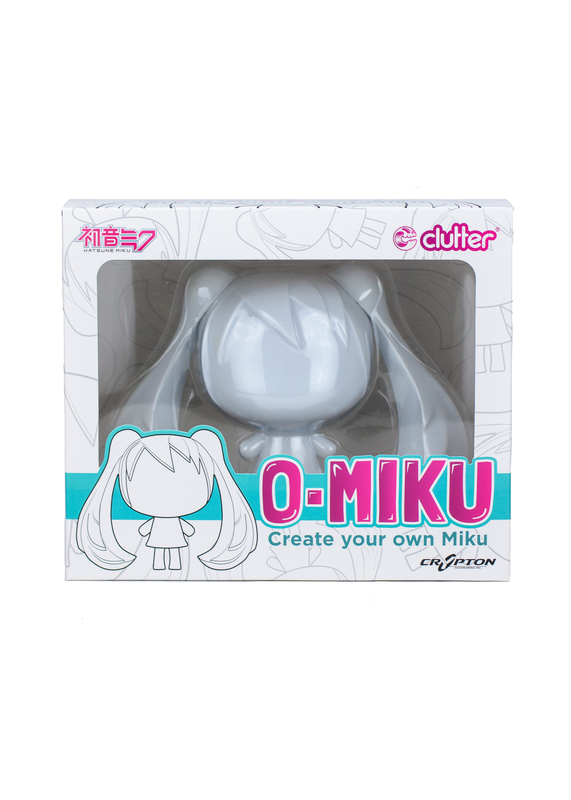 Tickets will get you your very own O-MIKU vinyl figure to customize and supplies to paint yours at the event. Plus, a chance to hang out with Miku cosplayers, grab a bento box, and celebrate Hatsune Miku with fellow fans! The Pop Up Party has 120 spots available - 60 for 1:00 pm to 2:45 PM and 60 from 3:00 pm to 4:45 PM. Tickets are $50 each and include your very on O-MIKU to take home, plus 1 Beverage. Space is limited, and these will sell out fast, so make sure you secure your ticket now! Resobox - 91 E. 3rd st. NYC.